Arguably, One of the Best Dr. Cleaner Reviews: Will It Cure Your Mac? Mac OS X is already good at keeping things clean, so some users wonder if they ever need a third-party cleaner to take care of the storage. A pretty decent software like Dr. Cleaner does no harm to the system and does not ‘eat up’ a lot of system resources. Thus, apps like this are worth trying at least once. Who knows where it may take you! A boosted performance is the goal of any Mac owner who experiences a system slow down. Apps like Dr. Cleaner increase the chances your machine will automatically release from all the trash at least once per month. Unlike many analogies that run on fear mongering marketing, Dr. Cleaner does not require many system resources while doing its job. On the whole, the software is rather useful when it comes to deleting temporary files and optimizing Mac’s memory. Dr. Cleaner is very light, so it will not take too much space. Perhaps, it won’t make your Apple computer the fastest machine in the world, but it will help with some critical everyday tasks. 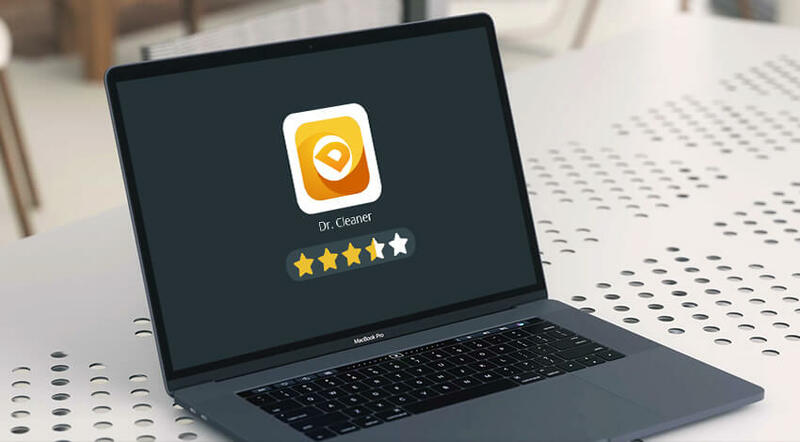 Read one of the most comprehensive Dr. Cleaner reviews to obtain an overall idea of whether this application is worth installing and using. 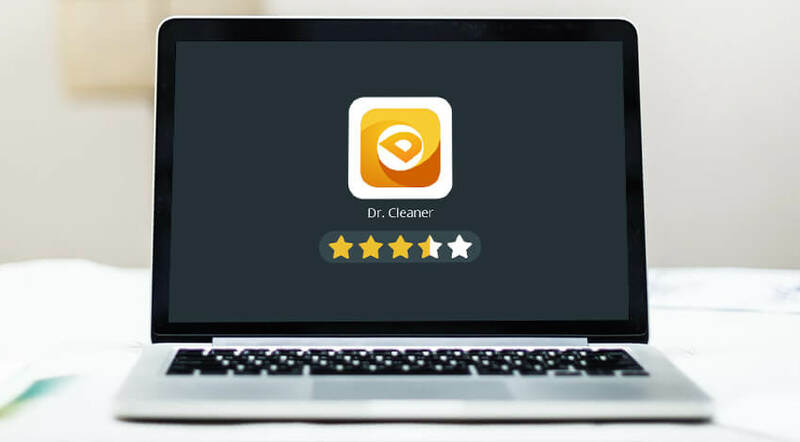 Is Dr. Cleaner for Mac Safe Enough to Trust Your Computer to It? Any Mac costs a plenty of money in contrast to many other computers, so it makes sense that Mac owners wish to keep their devices safe and clean. They will not install software or game on their MacBook Pro, iMac, or another Apple device without making sure it is secure. The developers of Dr. Cleaner claim that their innovation is 100% safe and virus free. Those who have already tried Dr. Duplicator usually do not switch to other tools as it is really secure and satisfies all the cleaning needs without taking too much space. It is just important to download the tool from the secure location. Go to the App Store or other websites that offer applications’ downloads for ages meaning they are trustworthy. The best idea is to get Dr. Cleaner from its official website. It is free of charge, so don’t get ready to pay some money. Once you start the download, you will be redirected to an external website to finish the process. Then, it is enough to click the Free Download button to get to the iTunes store where the software is available. More than 2.5 million people around the world already use this application, and not so many decide to quit. It is the best proof of the software’s security and credibility! What Should One Do After Dr. Cleaner Mac Download? What can be better for a busy Mac user than a free cleaning app? We have discussed how to get Dr. Cleaner, so it is time to move further focusing on the great features it shares. Most of the Mac owners share that the disk cleaning function and memory clean are almost perfect. The UI and animation of the given software are much better than many other free applications from the third-party developers. As Dr. Cleaner has two main features, we should take a closer look at them. Fully uninstalls the applications a user does not need any longer – no leftovers noticed! Provides a simple memory controlling tool for evaluating the computer’s memory usage. An expert will not find this tiny software very helpful. However, not every Mac user has enough time and desire to clean the entire system manually. It requires corresponding knowledge and skills. Dr. Cleaner reduces the efforts and time spent on wiping. It guarantees a quicker runtime to your computer. It may lack extra features such as malware and virus protection, but the software itself is safe and comfortable. If you are one of those users who do not have a clue how to get rid of the startup items, log files, caches, cookies, duplicates, and other types of junk, you will be satisfied by what Dr. Cleaner can do! Is There a Prominent Alternative to Dr. Cleaner? There is a ton of things Dr. Cleaner is good at. However, the scanning accuracy is not one of them. Therefore, Mac owners would be much better off using time-proven cleaner MacFly Pro. With the precision of a sniper rifle, the utility detects and eliminates stray and duplicate files devouring drive space. The best part is that MacFly Pro never accidentally deletes system files, which makes its use completely safe. Let’s look at the goodies that the app has under its hood. The collection of tools offered by Mac Fly Pro completely automates the cleaning and maintenance of a drive. The use the app’s primary feature, Smart Assistant, obviates the need for having a cleaning schedule. Just enable the feature and MacFly Pro will self-activate regular scans and prompt you to clean the drive whenever junk files have been found. The best thing is that the cleaning can be initiated with a single click. Still not convinced? At only $4,82 per month, the 24-months subscription for the app becomes a varitable theft! You wouldn’t be able to find a speedier, more effective, and reliable cleaner even after a month of thorough research.